This family is named after Bet v 1, the major birch pollen allergen. 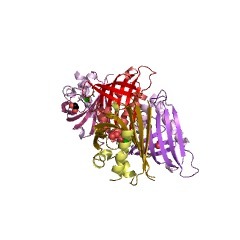 This protein belongs to family 10 of plant pathogenesis-related proteins (PR-10), cytoplasmic proteins of 15-17 kd that are wide-spread among dicotyledonous plants (PUBMED:9417891). In recent years, a number of diverse plant proteins with low sequence similarity to Bet v 1 was identified. A classification by sequence similarity yielded several subfamilies related to PR-10 (PUBMED:18922149) - Pathogenesis-related proteins PR-10: These proteins were identified as major tree pollen allergens in birch and related species (hazel, alder), as plant food allergens expressed in high levels in fruits, vegetables and seeds (apple, celery, hazelnut), and as pathogenesis-related proteins whose expression is induced by pathogen infection, wounding, or abiotic stress. 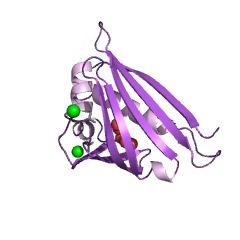 Hyp-1 (Q8H1L1), an enzyme involved in the synthesis of the bioactive naphthodianthrone hypericin in St. John's wort (Hypericum perforatum) also belongs to this family. Most of these proteins were found in dicotyledonous plants. In addition, related sequences were identified in monocots and conifers. 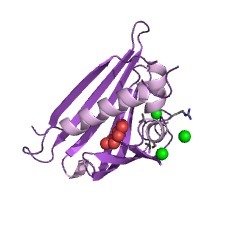 - Cytokinin-specific binding proteins: These legume proteins bind cytokinin plant hormones (PUBMED:9874249). - (S)-Norcoclaurine synthases are enzymes catalysing the condensation of dopamine and 4-hydroxyphenylacetaldehyde to (S)-norcoclaurine, the first committed step in the biosynthesis of benzylisoquinoline alkaloids such as morphine (PUBMED:15447655). -Major latex proteins and ripening-related proteins are proteins of unknown biological function that were first discovered in the latex of opium poppy (Papaver somniferum) and later found to be upregulated during ripening of fruits such as strawberry and cucumber (PUBMED:15447655). The occurrence of Bet v 1-related proteins is confined to seed plants with the exception of a cytokinin-binding protein from the moss Physcomitrella patens (Q9AXI3). Pathogenesis-related proteins PR-10: These proteins were identified as major tree pollen allergens in birch and related species (hazel, alder), as plant food allergens expressed in high levels in fruits, vegetables and seeds (apple, celery, hazelnut), and as pathogenesis-related proteins whose expression is induced by pathogen infection, wounding, or abiotic stress. Hyp-1 (Q8H1L1), an enzyme involved in the synthesis of the bioactive naphthodianthrone hypericin in St. John's wort (Hypericum perforatum) also belongs to this family. Most of these proteins were found in dicotyledonous plants. In addition, related sequences were identified in monocots and conifers. 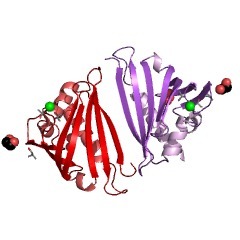 Cytokinin-specific binding proteins: These legume proteins bind cytokinin plant hormones [(PUBMED:9874249)]. (S)-Norcoclaurine synthases are enzymes catalysing the condensation of dopamine and 4-hydroxyphenylacetaldehyde to (S)-norcoclaurine, the first committed step in the biosynthesis of benzylisoquinoline alkaloids such as morphine [(PUBMED:15447655)]. 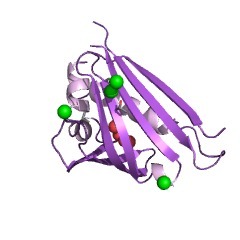 Major latex proteins and ripening-related proteins are proteins of unknown biological function that were first discovered in the latex of opium poppy (Papaver somniferum) and later found to be upregulated during ripening of fruits such as strawberry and cucumber [(PUBMED:15447655)]. The occurrence of Bet v 1-related proteins is confined to seed plants with the exception of a cytokinin-binding protein from the moss Physcomitrella patens (Q9AXI3). 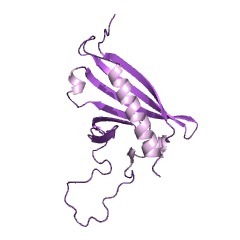 There are 1064 Bet_v_1 domains in 987 proteins in SMART's nrdb database. Taxonomic distribution of proteins containing Bet_v_1 domain. This tree includes only several representative species. The complete taxonomic breakdown of all proteins with Bet_v_1 domain is also avaliable. 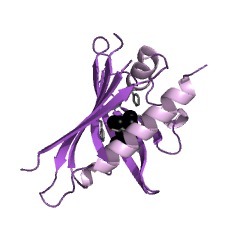 Click on the protein counts, or double click on taxonomic names to display all proteins containing Bet_v_1 domain in the selected taxonomic class. Molecular cloning and characterization of norcoclaurine synthase, anenzyme catalyzing the first committed step in benzylisoquinoline alkaloidbiosynthesis. (S)-Norcoclaurine synthase (NCS) (EC 4.2.1.78) catalyzes the condensationof 3,4-dihydroxyphenylethylamine (dopamine) and4-hydroxyphenylacetaldehyde (4-HPAA) as the first committed step in thebiosynthesis of benzylisoquinoline alkaloids such as morphine,sanguinarine, and berberine, in plants. A molecular clone encoding NCS wasisolated from a meadow rue (Thalictrum flavum ssp. glaucum) cellsuspension culture cDNA library. Heterologous expression of the NCS cDNA,truncated to remove a putative signal peptide, produced a recombinantprotein with NCS activity. Recombinant NCS showed sigmoidal saturationkinetics for dopamine (Hill coefficient=1.98), hyperbolic saturationkinetics for 4-HPAA (Km of 700 microm), and pH and temperature optima of7.0 and 40 degrees C, respectively, all similar to the purified,plant-derived enzyme. NCS exhibits 28-38% identity, and putativestructural homology, with the Bet v 1 allergen and pathogenesis-related(PR)10 protein families. NCS also displays 35% identity with the enzyme(HYP1) responsible for hypericin biosynthesis in St John's wort (Hypericumperforatum). The novel catalytic functions of NCS and HYP1 define a newclass of plant secondary metabolic enzymes within the Bet v 1 and PR10protein families. 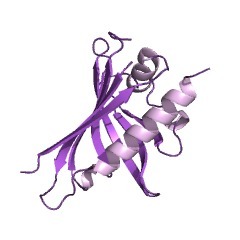 Weaker homology was also detected between NCS andproteins identified in the latex of Papaver somniferum (opium poppy), andin Arabidopsis thaliana. A family of three to five NCS genes is abundantlyexpressed in the rhizome, followed by petioles and roots of T. flavum. NCStranscripts were localized to the immature endodermis and pericycle inroots, and the protoderm of leaf primordia in rhizomes; thus, the sites ofNCS gene expression and berberine accumulation are temporally andspatially separated in roots and rhizomes respectively. Purification and cDNA cloning of cytokinin-specific binding protein frommung bean (Vigna radiata). Synthetic urea derivatives such as N-phenyl-N'-(4-pyridyl)urea (4PU) andN-(2-chloro-4-pyridyl)-N'-phenylurea (4PU30) have strong cytokininactivities. Using tritiated 4PU30 as a probe, we previously establishedthe presence of a cytokinin-specific binding protein (CSBP) of highaffinity (Ka for 4PU30 = 4x10(10) M(-1)) in the soluble fraction ofetiolated mung bean seedlings [Nagata, R., Kawachi, E., Hashimoto, Y. &Shudo, K. (1993) Biochem. Biophys. Res. Commun. 191, 543-549]. In thisreport, we purified CSBP by the use of 4PU-Sepharose 4B, an affinity gelliganded with 4PU. We determined partial amino acid sequences of CSBP andisolated its cDNA by reverse-transcription (RT) PCR. 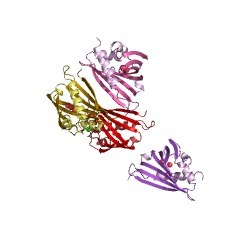 The cDNA encoded aprotein with a calculated molecular mass of 17 kDa. A data base homologysearch revealed that CSBP is a novel member of a major pollenallergen/pathogenesis-related protein family. 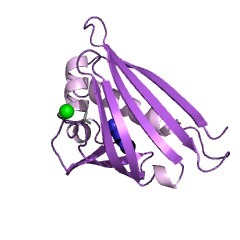 Recombinant CSBP wasexpressed in Escherichia coli and was confirmed to bind specifically tocytokinins. The potential of Betv1 homologues, a nuclear multigene family, asphylogenetic markers in flowering plants. Betv1 homologues are a ubiquitous group of genes in flowering plantsencoding a class of highly conserved defense-related proteins andcontaining open reading frames from 465 to 480 bp. 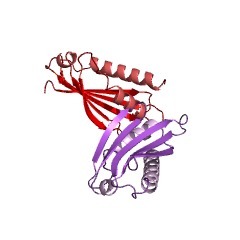 Betv1-like genesconsist of two exons interrupted by an intron of 76-359 bp, with theintron position highly conserved. The pairwise p distance ranged from 0 to0.583 among flowering plants. Within plant families, the ranges of the pdistance were 0-0.403, 0-0.253, and 0.011-0.369, for Apiaceae, Betulaceae,and Fabaceae, respectively. The most striking feature of the betv1 genephylogeny was that the multiple sequences from each plant family formed amonophyletic group and sequences from each species were generally moresimilar to each other than those from other species. The almost exclusiveparalogous relationships of genes from the same species suggested that thegenes of the multigene family underwent strong concerted evolution.Phylogenies of Betulaceae and Fabaceae inferred from betv1 gene trees weregenerally congruent with those based on morphology and other molecules.Betv1 homologues constitute potential phylogenetic markers at theintrafamilial level or among closely related families in flowering plants.